From Derby to Esperance, DADAA has worked in dozens of regional communities since it opened its doors more than 20 years ago. DADAA is a key disability/ mental health and community arts organisation for Western Australia and regularly offers programs in regional areas. Our programs in the regions work with communities as co-producers, with arts projects underpinned by strong partnerships with local governments, local arts organisations and local community groups. Our programming aims to strengthen the resilience and wellbeing of regional Western Australia through artistic engagement and vibrancy. An experimental project involving a community of artists, this program brings the community of Geraldton together to create unique print-works. The group held their first exhibition, Hard Pressed, at DADAA’s Freight Gallery in February. 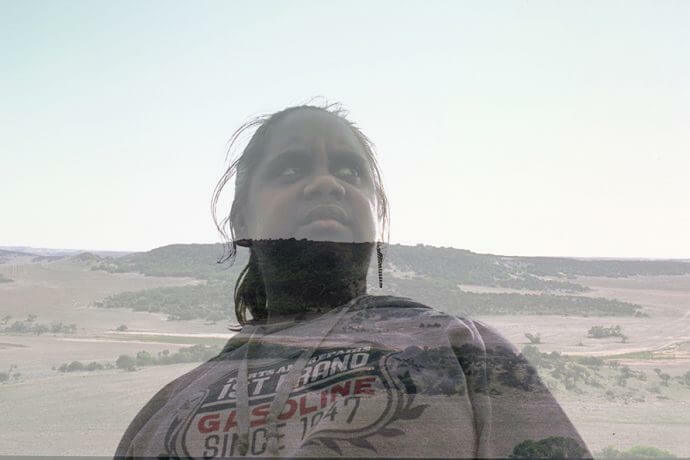 Artsworker Sonal Kantaria worked with young Indigenous people from the Geraldton region in a year-long photography course that taught technical skills and created opportunities for sharing stories about the meaning of country and home. Works were exhibited at the Geraldton Regional Art Galleries including the one above by and featuring artist Tyesha. A two-year arts and mental health project in partnership with Rio Tinto Iron Ore and Australia Council for the Arts, the multi-award-winning FIVE project worked in five regional Western Australian communities and engaged more than 7,ooo people.